Stevens Towing received a short notice request from a freight forwarder to move two automotive presses from Savannah, GA to Charleston, SC. Previously, the same pieces have been transported by truck, but new Georgia DOT requirements prevented the customer from obtaining truck permits to move them. 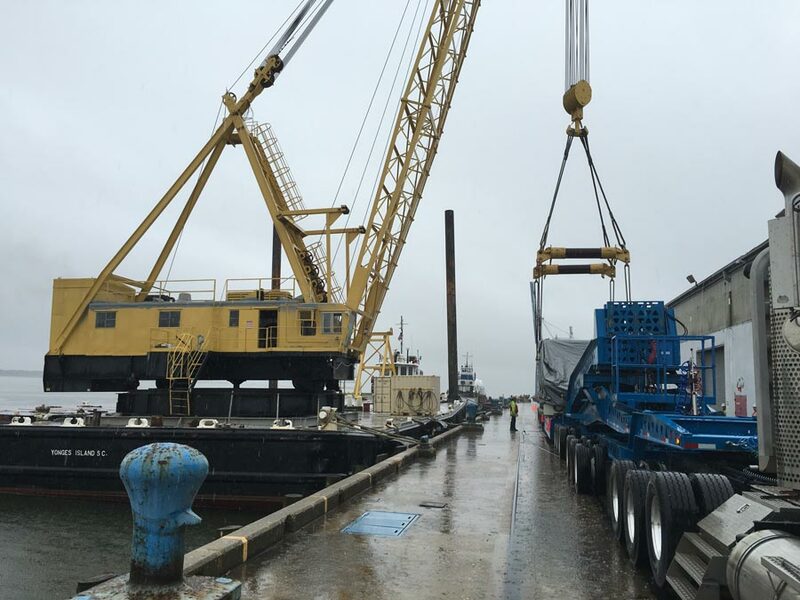 We were able to provide a solution for the problem using the Savannah Heavy Lift to load both of these presses onto our deck barge and move them up to Charleston via the Intracoastal Waterway. The pieces arrived in Charleston on Easter morning, and our new 140 ton Clyde 32 crane placed them on two trucks with permits from Charleston to their final destination.